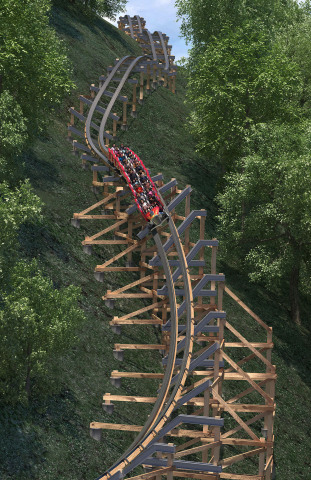 Behind The Thrills | Dollywood announces Lightning Rod for 2016 with record breaking coaster! 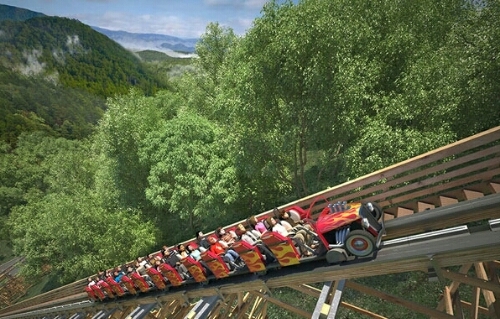 Dollywood announces Lightning Rod for 2016 with record breaking coaster! Dollywood is fast becoming a major family vacation destination. 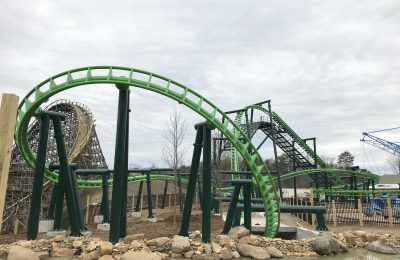 The park has opened two major new coasters in the past five years, a huge new waterpark attraction, and has built a huge following with their steady stream of great concerts, huge musical acts, and amazing stage performances. Just a few weeks ago, Dollywood opened their first onsite hotel, with the DreamMore Resort. Dollywood isn’t slowing down, in fact, with the huge 2016 announcement, things just shot ahead real fast. 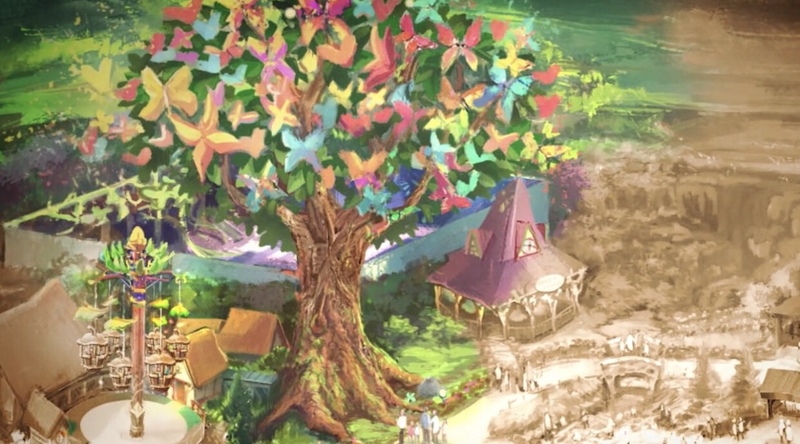 Earlier this year Dollywood celebrated 30 years with a huge tease that the best is still ahead. Today, we learned that yeah, the best is still coming. The all new Lightning Rod will break all kinds of records as the world’s first launched wooden coaster. It will launch riders out with 1,500 Horsepower, and up a 20 story hill at 45 mph. 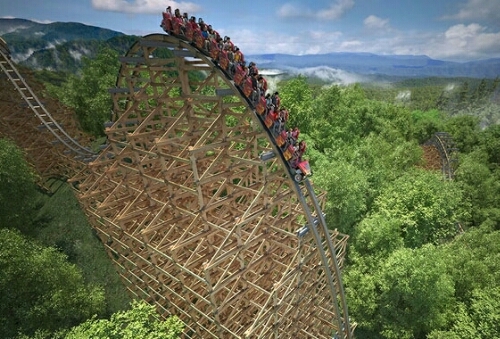 The coaster will then drop riders 73 degrees down the 165 foot first drop where it will reach speeds of 73 mph, making it the world’s fastest wooden coaster. Riders will then experience 12 massive airtime elements along the 3/4 mile track. 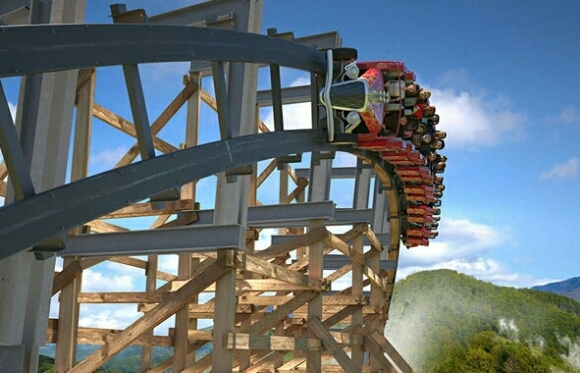 The all new coaster will be built by Rocky Mountain Coasters and is a first in Tennessee, and pretty much anywhere. The coaster will feature about 20 seconds of airtime, which means you’ll be out of your seat for about 1/3 of the ride. There be several elements that will help keep guests out of their seats, such as the quadruple down…Instead of one drop, guests will go down four drops at the same time. Think of it like a super slide at the fair, only on a coaster instead. The coaster will cost a reported $23 million dollars, which is part of a huge $300 million dollar, multi-year investment at the park. Lightning Rod will be themed to the old fashioned Hot Rods of the 40’s and 50’s, and will open in March of 2016! Stay tuned for more from Dollywood, and be sure to get social with us on Facebook, and follow along with us on Twitter @BehindThrills for the latest updates! For more information about Dollywood, including tickets, visit the official website by clicking here!